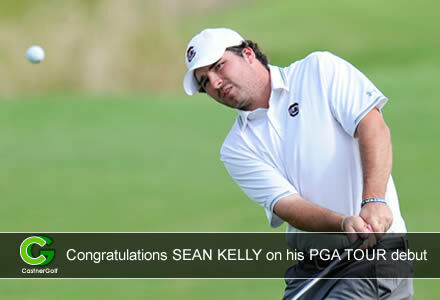 We are excited to announce that CastnerGolf alumni, Sean Kelly, will be making his first PGA TOUR start tomorrow at 2pm (Tee #10) at the AT&T Byron Nelson Championship. Bill was one of Sean’s first instructors in Staten Island in the late 1990s. Sean played much of his junior career in NY, raising to become the #1 junior in NY. He attended University of South Carolina, and was the 2015-16 University of South Carolina Male Scholar-Athlete of the Year. Kelly is making his PGA TOUR debut having spent last season on the MacKenzie Tour – PGA TOUR Canada. The Union County College golf team has won the 2017 Garden State Athletic Conference Championship Tournament. The GSAC Championship took place at Galloping Hill Golf Course in Kenilworth, NJ. The tournament consisted of Union, Raritan Valley Community College, Rowan College at Burlington County, County College of Morris, Camden County College, and Ocean County College. Sean Elliott, recently won the 2015 Jack Nicklaus Award-NAIA Player of the Year. 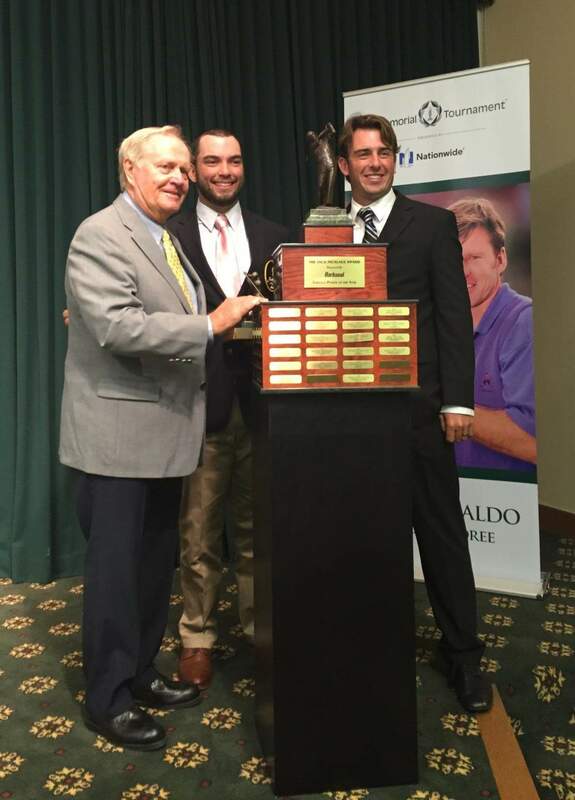 Pictured (l to r) Jack Nicklaus, Sean Elliott, Dalton State Men’s golf coach Ben Rickett. Richard Timbrell and Denis Johnson won the Philadelphia Public Links Four Ball, with Denis shooting a 69 and Richard birding the 17th hole. Together they shot a 68 in the bad weather at Turtle Creek near Valley Forge. Thanks for all your support, email us your updates and we will include them. 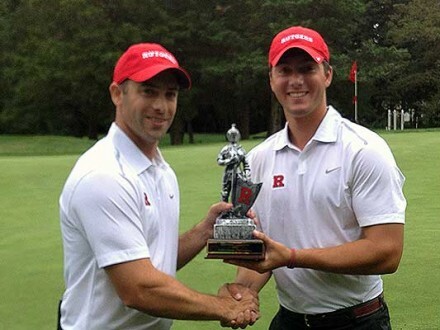 CastnerGolf alum, and RU junior Jacob Stockl (above) carded a four under par 138 (70-68-71) to win the 90-player Fall season-opener, Rutgers Invitational, at the par 71, 6,347-yard Rutgers University Golf Course. Buoyed by Stockl’s performance, the Scarlet Knights placed third in the 16-team field with an 864 (287-284-293) effort. John F. Kennedy Memorial High School Golf Team & Woodbridge Township School District thanks Bill, Plainfield West Nine and The First Tee for the use of the facilities at Plainfield West Nine for giving the John F. Kennedy Memorial High School Golf Team the opportunity to practice in March 2012 and play home matches at your course in April and May of 2012......... read more. Where Are Bill’s Students Now? Sean Elliott - CastnerGolf Alum, formerly from Westfield, NJ, now living in Georgia: Winner of the 2015 NAIA Championship, First Team All-American (2015), Arnold Palmer Award Winner, NAIA Player of the Week (Spring, 2015), Winner 2015 Georgia Invitational. And congratulations to Sean, the 2015 winner of the Arnold Palmer Award as low medalist in the NAIA Championship and Men's First Team All-American playing for Dalton State. Vinay Ramesh - 17, of Newtown, Pa., formerly from New Jersey, winner of the 2014 PIAA-AAA state championship. The Pennsbury High School senior rallied from six strokes behind and won on the third playoff hole. Vinay, who will attend Princeton University in 2015-16, claimed last year’s Philadelphia Junior PGA title. He qualified for the US Open Sectional at Old Oaks Golf Course in Purchase. 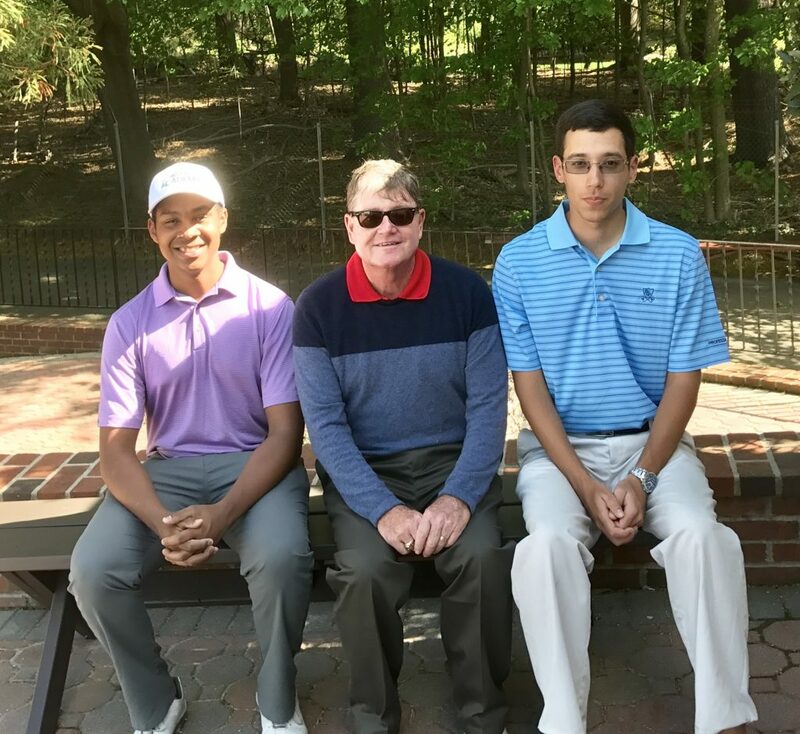 Jacob Stockl - Congratulations on your graduation from Rutgers University (the golf team will miss you) and good luck as you embark on your future golf career in Port St. Lucie, FL. Jacob has won several local events, and is now a sophomore at Rutgers University in East Brunswick, where he plays on the men's golf team. Jacob has qualified for prior Metropolitan Golf Association, 57th IKE MGA Stroke Play Championship, and USGA Junior Amateur Championships. 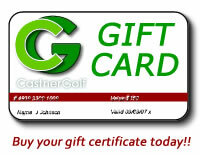 He finished in 19th place at the 111th NJSPGA State Championship at Baltusrol in 2012. Jacob is studying for a BS degree in business at Rutgers. 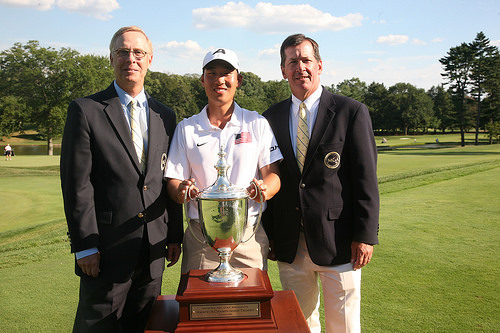 Peter Kim - CastnerGolf Alumnus, Peter Kim a 20-year-old cadet at West Point, won the 113th Met Amateur champion after defeating Ryan Snouffer of Essex County 1 up in the 36 hole final match on Baltusrol Golf Club’s Upper Course in Springfield, N.J (August, 2015). Paolo Matti - Graduated valedictorian from St Rosa Lima School in Union, and is a sophomore in the Scholars Program at St. Peters High School in Jersey City, where he plays on their golf team. He was the runner-up in the NJSGA William Y. Dear Boys Junior Championship in 2012. Paolo is a Birdie level member of the First Tee of Plainfield, where he also helps coach young golfers. TJ Kaczan - Is a sophomore at St. Peter's High school. He was the 2012 NJ PGA Junior Golf Player of the Year, with several local tournament wins. TJ also plays in IJGT and AJGA events around the country. 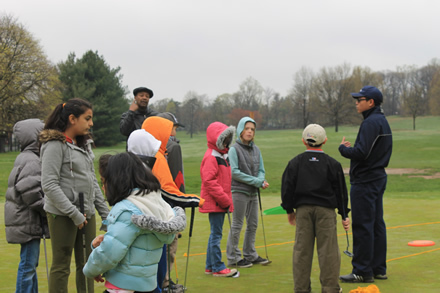 He is a participant in the First Tee of Plainfield and actively coaches young juniors each weekend. Vinay Ramesh - CastnerGolf Alum, formerly from NJ, now living in Newton, PA, qualified for the US Open SECTIONAL Qualifier at Old Oaks & Purchase CC on 6/8/2015. Jesse Masters - Is a senior at South Plainfield High School, where he will play on the golf team during his senior year. A GOLFWORKS intern, Jesse had the privilege of working at Plainfield County Club last season, assisting as a "sous chef." Jesse, who has a passion for jazz music, cooking and golf, will attend Johnson and Wales College in Rhode Island starting this Fall. Remi Shendell - An active fifth grader, Remi was selected by the Tamaques Elementary School in Westfield to participate in the prestigious PEOPLE-TO-PEOPLE Program in Washington, DC this Spring. 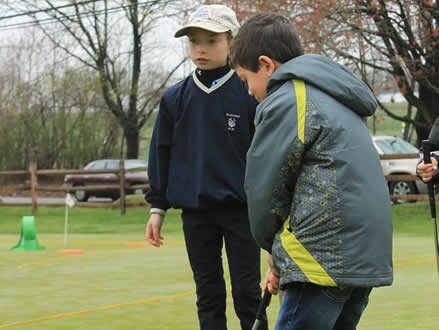 Remi, who also loves to dance, is a First Tee of Plainfield "PAR" level participant, and enjoys assisting and playing golf with her Dad, Eric, who is a First Tee of Plainfield coach. William Canon - Medalist in the NJSGA Mid-Am Qualifier at Hopewell Valley GC. Canon is the current Club Champion at the Plainfield West 9, his fourth championship there. Bill played in the 111th NJSGA State Championship at Baltusrol. Steve Pederson - Is finishing his senior year of high school and has also been selected to attend ARMY - WEST POINT in tje Fall of 2013. Brandon Molson - Is a sophomore St. Peter's College in Jersey City, where he plays on the golf team. Steve Wilcox - Graduated the PGM program at Penn State, and is now a member of the PGA. Steve is involved in several projects and teaches at the Garden State Golf Academy in Paramus, NJ.